Asakusa Sensoji Temple is the oldest Buddhist temple in Tokyo, Japan. It was built on the site in 645 AD which is dedicated to the bodhisattva Kannon or also known as Guan Yin or the Goddess of Mercy. 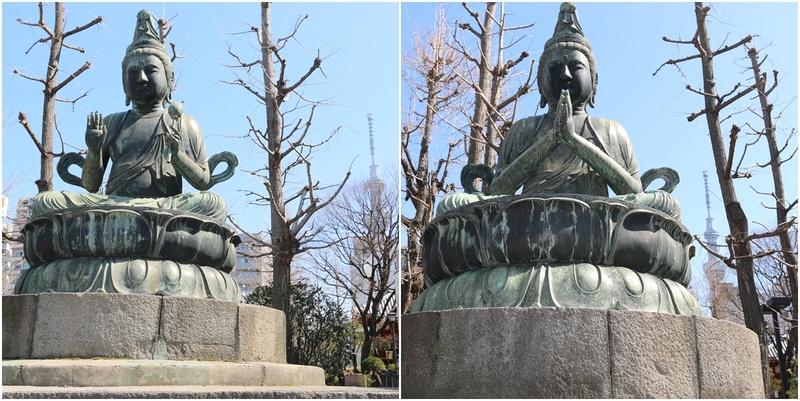 According to the legend, two fishermen were fishing along Sumida River and found a statue of Bodhisattva Kannon floating on the river. When the village headman of Asakusa heard about this, he immediately realized that the object was an important Buddhist deity Bodhisattva Kannon statue thus, he took the vow to remake his home into a temple and spent the rest of his life in devotion to Bodhisattva Kannon. The Kaminarimon Gate or the Thunder Gate, is the main entrance of the outer gate of Asakusa Sensoji Temple. There is a huge red paper lantern with a black Chinese character hanging in the middle of The Kaminarimon Gate (or the Thunder Gate). As when a visitor walks through the Kaminarimon Gate (or The Thunder Gate), you will find the shopping street of Nakamise-dori which is lined up with rows of small vendors selling snacks and Japanese souvenirs. 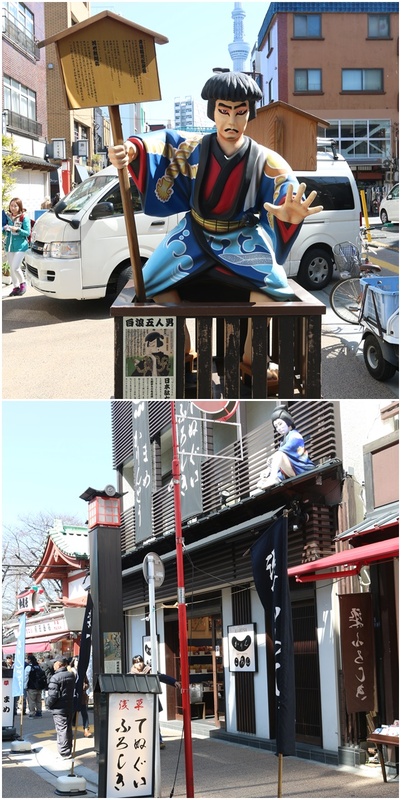 As when you walk to the end row of the shopping street of Nakamise-dori, you will find another huge gate which is similar to The Kaminarimon Gate (or the Thunder Gate). The second entrance gate is known as Hozomon Gate which will lead you to the main temple's hall of Asakusa Sensoji Temple for worshiping. There is a large incense burner in the middle of the main temple's hall as you walk through the Hozomon Gate. You will find a five-story pagoda as well, next to the main temple's hall. How do you pray at a Japanese temple? 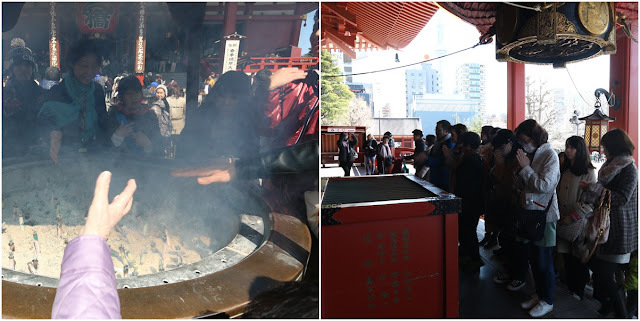 Firstly, you purchase and burn incense (osenko) in a large incense burner, which is situated in front of the main temple's hall. Then, you fan some smoke towards yourself as the smoke is believed to have some healing power. After that, you walk all the way to the offering hall. You must remove your shoes before entering the temple hall. When you stand in front of the Kannon Bosatsu shrine, you throw a coin into the offering box then, bow at 90 degree before clapping both hands twice. Then, you pray and make your wish before bowing at 90 degree once more. How to get to Asakusa Sensoji Temple?